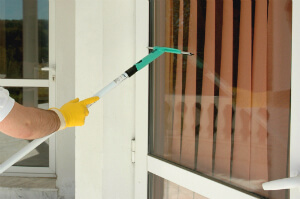 Get in touch with our friendly customer care assistants for a free and non-binding price offer for interior and exterior window cleaning today. Dial 020 3746 1366 or fill up the contact form on our website. We have appropriately outfitted and skilled roof cleaners who are going to use highly effective pressure washing equipment to remove mould, algae, lichen, greasy stains and moss from roofing. House roof cleaning is necessary if you want your premises to look good, and is also important due to the fact certain harmful growths can basically “eat” and harm your roof if left neglected for long. Our service is 100% insured and at a fantastic price! For help with cleaning your roof & gutters, keep in mind to book our general window cleaning service now! Homeowners and business property owners in the area know that proper and regular gutter cleaning can save them the need for repairs and a lot of problems if water damage occurs due to clogged gutters. Ashlee House Cleaning will help get your gutters clean safely, at an excellent price. Our gutter cleaners use professional powerful vacuum cleaner with telescopic pipes to reach your downpipes and gutters and clean them without the use of ladders. These pipes have cameras at the end, so that all debris and dirt is visible. We can show you before and after pictures of your gutters. This service comes with a quality guarantee of 30 days. In case your gutters get clogged during that period we will clean them again. Because we care about our clientele, we have devised a very refined and easy booking system for our window cleaning North End DA8 and for our several other services. You can get a free price offer or schedule an appointment with our professional window cleaners by just calling 020 3746 1366 or filling out the online booking request form. The customer support staff is readily available 24/7. You will get an e-mail and a text message confirming your reservation in two hours of your request. Select just about any day of the year for booking us. We have fair rates. No advance payment is required for getting this service. If you are booking earlier on or are a frequent client, we will provide you our advantageous price for this particular and various other services. Property agencies and property managers also get lower price offers. So why not leave it to our professional cleaners to efficiently clean your gutters, windows, roofs - order our top quality cleaning service now!